Pick-up and Drop-off transport services for our lovely fur-guests. Kindly refer to the table below for fee reference. Book your personal and pet-proof (pet crate and seat belts for dogs included) Dog Mobil with us to ease your travel plans. Kindly note that we do not practice having check-in/out during busy festive days. This is to make sure we have a peace of mind at our home, while letting our dogs here enjoy their furcation blissfully during major holidays. Make arrangements for your furkids to arrive at our home one day prior to the Public Holidays. 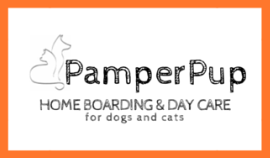 VISIT US WITH YOUR FURKID(S)! Book a visit with us prior to confirmed bookings. This is to allow us to gently assess your furkid(s) and to get to know him/her more. KINDLY NOTE THAT WE DO NOT ACCEPT ANY FORM OF WALK-IN WITHOUT A SCHEDULED APPOINTMENT WHICH HAS A PRIOR AGREEMENT BETWEEN BOTH PARTIES. SIMPLY DROP US A CALL/SMS/WHATSAPP MESSAGE AT 01133118945 TO MAKE NECESSARY ARRANGEMENTS. CHECK-INS AND CHECK-OUTS ARE ALSO STRICTLY CARRIED OUT ACCORDING TO THE TIME SET.